Vendors at the event include Owl & Turtle Press, Zaino Farm, Singing Creek Farm, QuietBuzzing Studio, smb designs, Diana Griffith, Bricks 4 Kidz, Usborne Children’s Books, Middle Spring Soap Co., Taproot Kitchen, and more. Taproot Kitchen will be featuring homemade, locally-sourced soups and Italian beef in convenient to go containers. 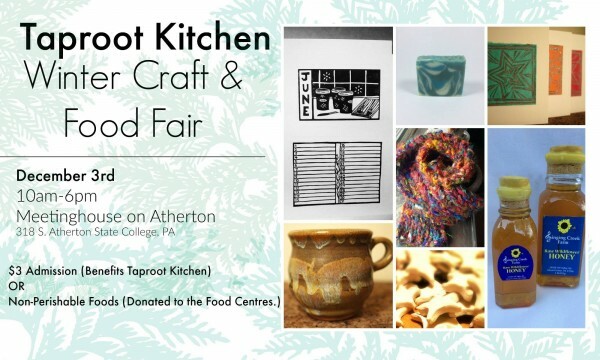 There is a $3 admission which benefits Taproot Kitchen, or you can bring non-perishable food for donation.